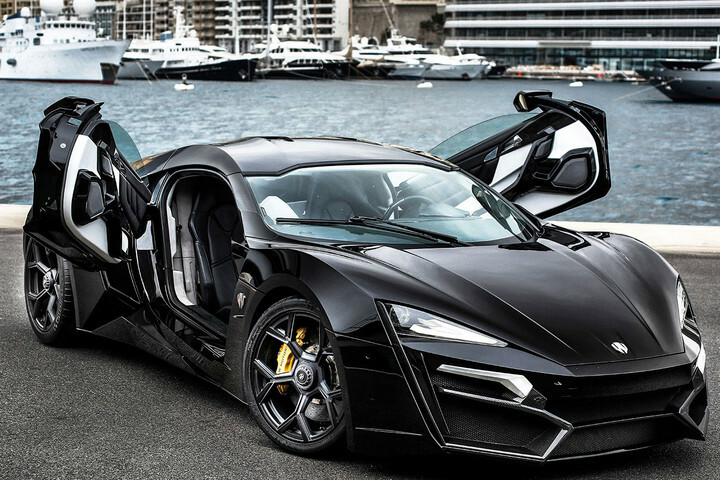 Top 10 Most Expensive Modern Cars In The World! Before we start listing them, I just want to point out that the cars listed are modern cars currently for sale or cars that have been sold “recently”. Therefore, on this listing, there are no vintage cars taking part. At least not today. 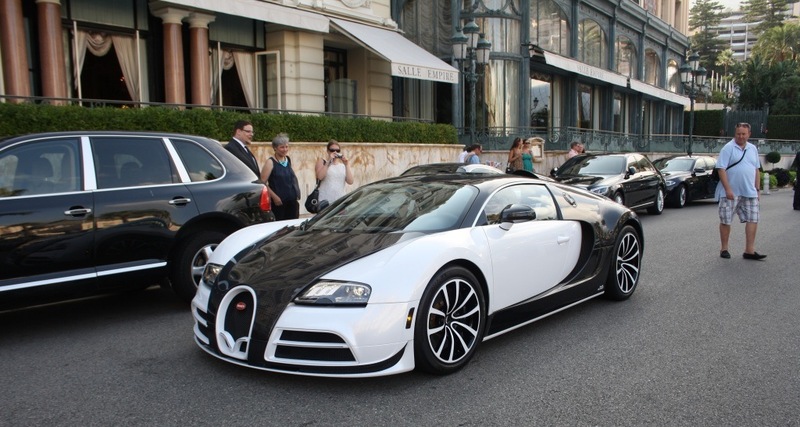 In this article, we’ll be listing the Top 10 Most Expensive Modern Cars In The World! 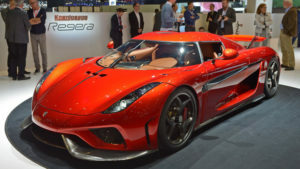 “The new Koenigsegg Regera is specifically designed to be a luxury Megacar alternative to Koenigsegg’s traditional extreme, light weight, race-like road cars. The Koenigsegg Regera combines a powerful twin-turbo V8 combustion engine with three electric motors and cutting edge battery power via new powertrain technology called Koenigsegg Direct Drive. This revolutionary technology removes the traditional gearbox, making the car lighter and more efficient.” It is no wonder why the Regera has a price tag of $2M. 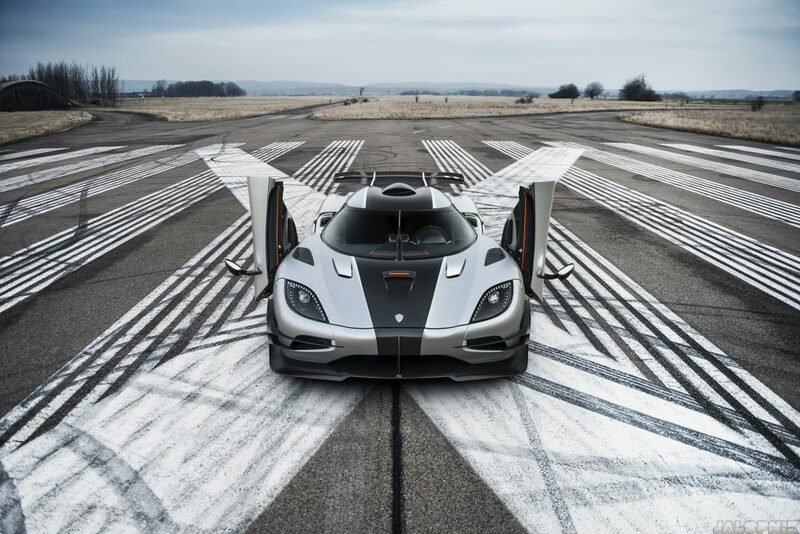 The second place is taken by yet another Koeniggsegg. Most might get shocked by the price demanded for this machine. But after reading what the car is capable of, $2 million might actually be a steal. Also, only six were made. This means, there´s a huge chance of the car raising in value apart from most other cars. If you have $2M lying around, this might be a really good investment in the end. 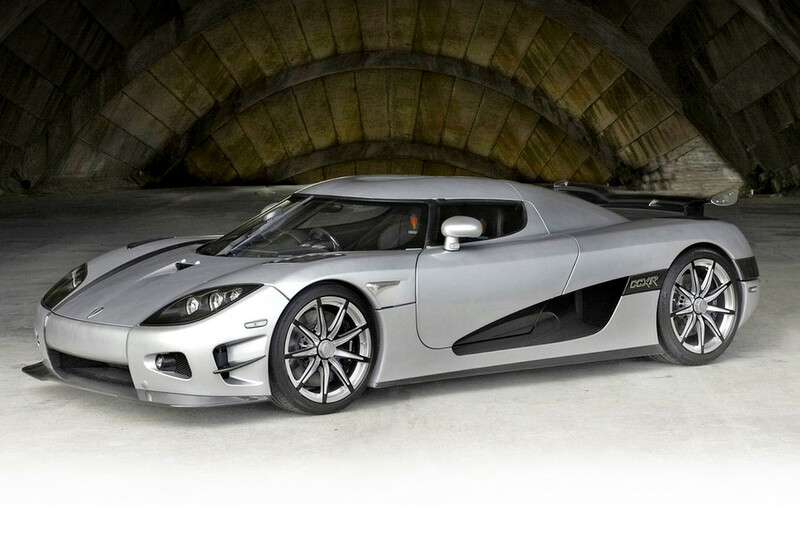 The limited-edition One:1 is based on the Agera R. Its name comes from employing a 1:1 kilogram-to-horsepower ratio. The car weighs 1,340 Kg and this means.. 1340 horsepower.. That’s right, this car has 1,340 bhp! 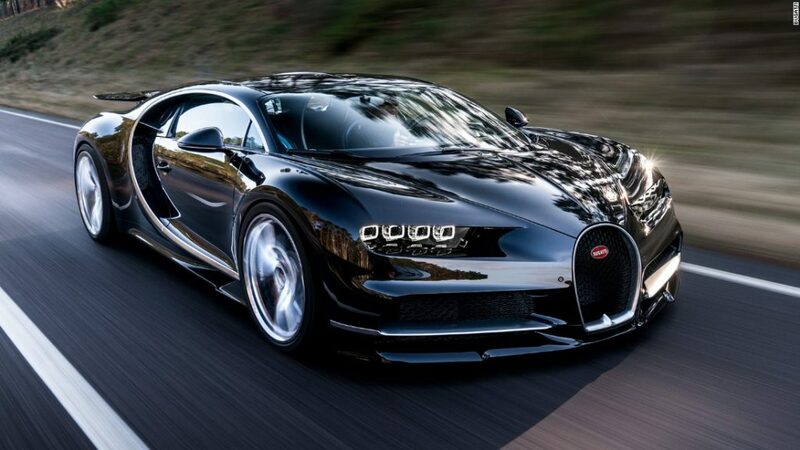 The Bugatti Chiron has a starting price of $2,5M. With its monstrous 8.0 Liter engine, it produces a strong 1,500 bhp! Those who are fortunate enough to afford one of these are sure to be recognized on the streets. In the Bugatti Chiron, you´ll never drive undisturbed. As a celebration to Ferrari’s 60-year tenure in North America, the Italian car manufacturer built 10 examples of this amazing beauty. 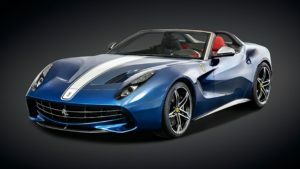 The Ferrari F60 America is based on the F12 Berlinetta the F60 is designed with the american stars and stripes color scheme as a tribute. The F60 has american flag seat inserts, and classic racing livery all around. All this to be enjoyed with the roof down. The super car is engine-wise identical to the F12. Both fitted with a 6.2-liter V12 it produces 740 strong horsepower. With its strong engine it generates 60 mph in only 3.1 seconds. ” The Huayra BC is the most technologically advanced Huayra Coupé yet, introducing innovative technical solutions which will be applied in the Pagani cars of the future. This not just a “restyling” of the Huayra, but a product that includes innovative changes in every part of the vehicle. 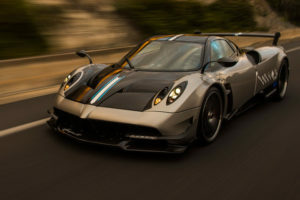 It’s a car that has a completely different personality to that of the Huayra Coupé.” As you probably can tell, the Pagani Huayra BC is like a normal Huayra on steroids designed for the track and as you might have guessed by now – its going to cost you. The price for this is $2,6M! 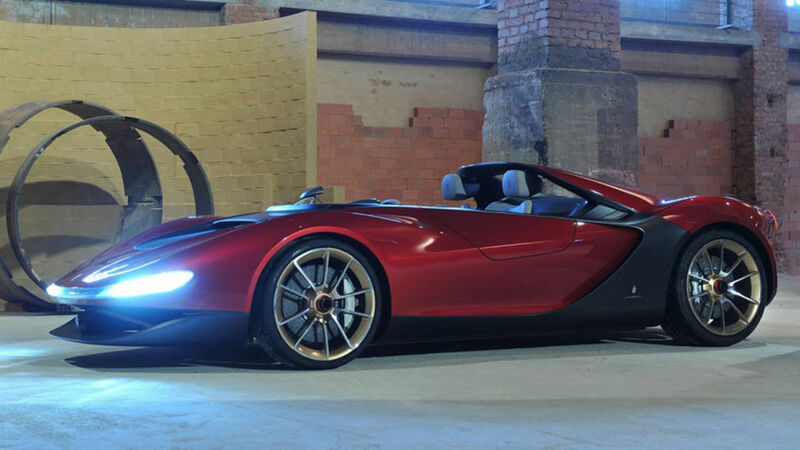 Pininfarina Sergio is a concept car first shown during the 83rd Geneva Motor Show and is a tribute to Sergio Pininfarina, who died July 3, 2012, at the age of 85 years. When you hear that only six were ever made, you know its going to cost you.. The car is created by the Italian design house Pininfarina, the Sergio super car is in its core a Ferrari 458 Spider with a brand new new body and interior. This means that the heart is still the same – a 4.5-liter V8 that generates 562 Bhp to the rear wheels. Since the Sergio however, is lighter than the 458, it’s quicker and has a better handling. Not only is the Bugatti Veyron the world´s fastest street legal car, it also takes a place on this list with a price of $3,4M. The Bugatti is owner of 1,200 bhp and starts out as a Grand Sport Vitesse Roadster before its grand remake by Mansory where it gets a new carbon-fiber body, a new spoiler package an upgraded Mansory interior and much more. 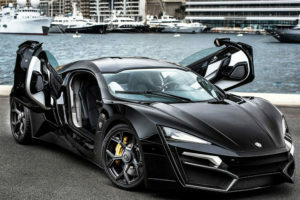 W Motors, the creator of the super car will limit numbers of the car, which it heralds as “The first Arabian hypercar,” to just seven, each priced from US$3.4 million. Powered by a mid-rear positioned, twin turbocharged flat-six engine generating 750 horsepower, W Motors says the car can go from 0-100 km/h (62 mph) in a neck-snapping 2.8 seconds, on the way to a top speed of 395 km/h (245 mph). For their $3.4 million, buyers will also receive a limited edition Cyrus Klepcy watch valued at $200,000 and a 24/7 concierge service. Sign me up! With the price rising every day due to the low amount created for Lamborghini´s 50 year anniversary, this car is highly sought after among those who can afford to pay for it. 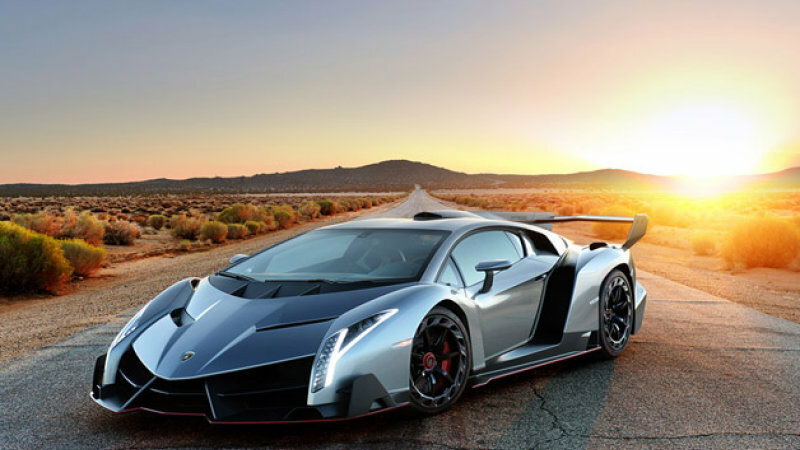 The Lamborghini Veneno is consistently focused on optimum aerodynamics and cornering stability, giving the vehicle the authentic, dynamic experience of a racing prototype, yet it is fully certified for the road. The lightweight design of the carbon fiber frame is not only visibly evident, it also proves itself on the scales with a power-to-weight ratio of 1.93 kg/hp (4.23 CV/lbs), and thanks to its forceful twelve-cylinder, the Veneno guarantees a performance that is nothing short of mind-blowing. On the first place and with the title “M most expensive modern car in the world” is the Koeniggsegg CCXR Trevita. The CCXR Trevita is a limited edition the CCXR with unique, white carbon fibre body work. Trevita is Swedish for “three whites”. Two Trevita models were produced in 2009. The Trevita features a unique double carbon rear wing, inconell exhaust system, carbon ceramic brakes with ABS, airbags, paddle-shift, chrono instrument cluster, infotainment system, tire monitoring system and a hydraulic lifting system. Thanks for reading “Top 10 Most Expensive Modern Cars In The World!” and feel free to comment below if you have any questions! All photos are the property of respective photographers.